Posted on July 7, 2014 by kcg1974 •	This entry was posted in Awards and tagged Appreciation, Awards, Blogging, Gratefulness, Gratitude, Support. Bookmark the permalink. Congratulations on the award and thank your for listing my blog. Thank you so much for nominating me for the award. I am most flattered and touched. Thanks! I am thrilled to to do so. Congratulations! 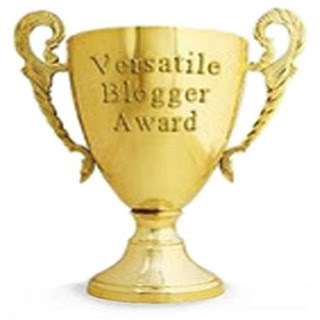 Thanks for nominating me for the Versatile Blogger Award, Kim!! You definitely deserve this one!! You are most welcome my friend (smile) Blessings!! With sincere thanks to you, Greg. Somehow I missed this comment until late last evening, Bobby. I accept with humble pride your nomination which stirs an abundance of emotion within me. Already an “award” in itself to think my words are inspirational. I thank you deeply. Another silverware (but that seems to be gold!) in the showcase! Congratulations, Kim! Sarvit, so nice to see you. Thank you very much. I’ve lost touch with you. Will have to ‘find’ you once again. Thanks so much! Oh, you are so welcome, Sue. No rush, as I am the very worst at getting my acceptance post’s out. So guilty I always feel! Thank you very much, Sue. So pleased, Evelyn. 🙂 Congratulations. Congratulations Kim, a well deserved award for an informative and enjoyable site. Always a pleasure to read your blogs and visit your world. Thank you very much for considering my site worthy of recommendation for the award.